Imagine how beautiful it would be to sit on your lawn on a nice sunny day to enjoy the beautiful view. There are various kinds of lawn furniture that are available in the market but they could be expensive and may not live up to your expectations. 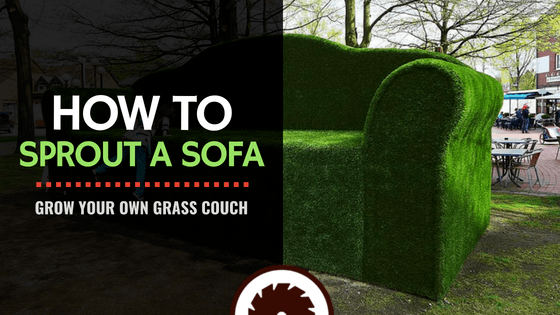 There's no need to spend dozens of hours at a virtual library learning about botany and furniture design because today we're going to give you the ultimate guide to sprout a sofa on your own and build your own lawn furniture. 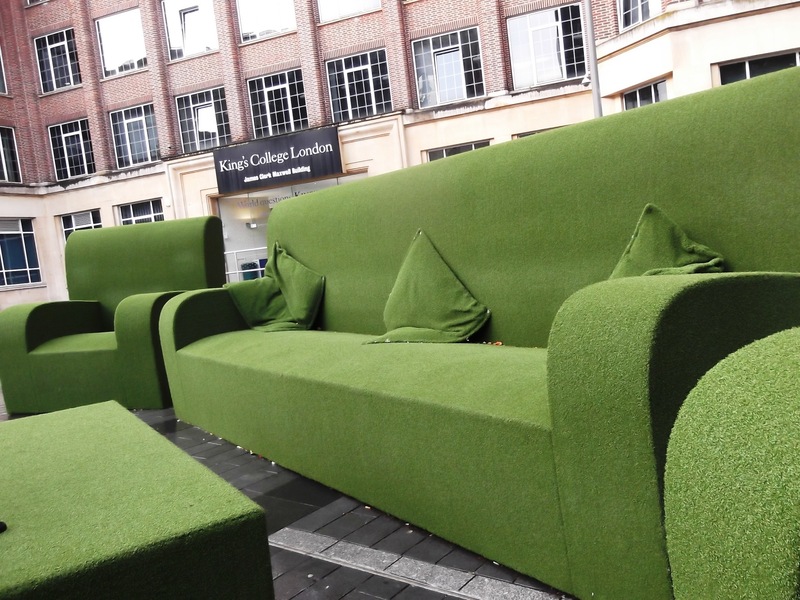 There are few steps involved in growing a sod couch which you would be able to flaunt amongst your family and friends also would add spark to your garden. It requires few things that you would need to build your beautiful DIY lawn couch, we suggest you make a note of the items and keep them all handy before building your sod couch. You will also need garden soil to fill the base and make the couch firm. The last and most important thing required to make lawn furniture is sod. Sod, as you may already know, is the surface of the soil on which you can see the grass growing or you where you can sow it. Nothing like kicking back on some living furniture! As they say, the foundation should always be the strongest, and the same applies to lawn furniture. 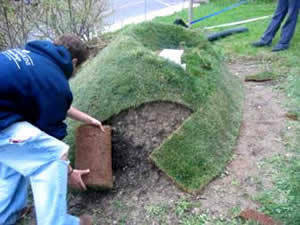 This is the first and initial step to build your own sod couch. We suggest you that you make up your mind as to how you want your furniture to look. If you want, you can make small chairs and a center table or you could build a complete huge sofa where you can seat your entire family and friends. Anything that would be ideal for your needs and your lawn is possible. You need to dig the soil and make an even-level area to start building your furniture. You could even build a soil sculpture with your hands or use the shovel. There are many materials available in the market like interlocking cardboard and bricks to make the base of your couch. However, we would suggest you make use of bricks or paper bricks because other materials can break down naturally over time where bricks will remain stable. Using bricks could also keep the quality of the sofa consistent for a very long period of time. Start lining up the bricks to give shape to your furniture, create some height, seats, armrests and a backrest for the sofa. Use bricks to build your table as well, lay down the bricks to form a sculpture of the furniture. In this step, you can use your imagination as much as possible and be as creative as you can. As this is the base of your DIY lawn couch, you may want to refer to a guide pattern to lay down the bricks and make sure that you draw a rough image of your couch. We advise that you take as much time as you need to complete this step as the base will determine how your furniture will turn out to be. Make sure you get a rough image of your furniture before you move on to the next step. No matter what type of furniture you're trying to build, you need to make sure to lay down the bricks or mold the solid accordingly. After you have successfully created the base of your furniture, the next step is to plaster the brick base. To complete this step, you require the second material on your list that is garden soil. 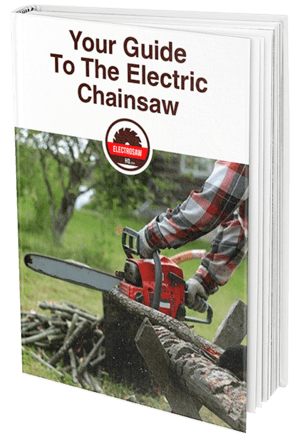 It is readily available online or you could get it from your lawn or your neighbor’s lawn or in a nearby gardening shop too. You need to plaster the base with the soil, you can’t just start pouring soil on the base. First, you have to add some water to the soil but remember not to add a lot of water as it would spoil the plaster for you. You don’t have to make it very watery, make a thick consistent paste to cover the base. Once the water has been added, start covering the furniture’s brick base with this soil mixture. Cover all the edges and all the parts of the brick with the soil as a thick soil layer over it. Covering the base is a very simple step yet it requires a lot of attention because, if you make the soil too runny, it will take a lot of time for it to settle and it could result in wastage of the product, too. Start pouring your solution on to your base and let it sit for some time before you jump on to your next step. Use your hand to cover the base so as to leave very little chance of missing out on a spot. While doing this remember that this is your own furniture that you are building and you and your close ones will be sitting on it. So, make sure that while you are at it, you don’t miss any spots or areas. If you want, you can spread two or more layers of soil on the base, as this will make the furniture more comfortable and you will be able to sit on it for longer periods of time. If you are using just the soil base, you don’t need to cover it with soil again because the base has been created with soil and there is no point in layering it up with soil again. Smoothen the layer of the soil after covering the base so that if there are any lumps or uneven surfaces, it can be easily evened out. You'll also be able to do the next step easier this way. This is the final step of your DIY lawn couch, this step can be completed in two ways, so choose whichever one suits you the best. The first way would be to cut the sod in pieces and lay it down on the furniture base that you have created in the first and second step. 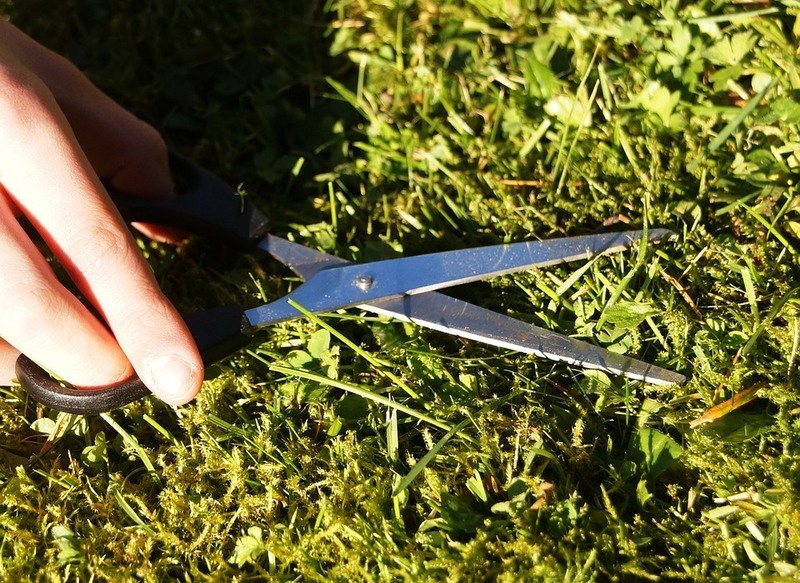 Use the sod that you purchased from a store or that you cut yourself. This is a completely optional step and it's up to you whether or not you want to follow it. You can add definition and style to your sod couch by decorating it. You don’t have to go crazy with the decorations but you can do little things like adding a cute cushion on the sides of the couch or on the chairs. You could add a flower vase or fix a showpiece at the center of your grass table and whenever you have guests over, it'll be there adding grace to your furniture. But like we said, this is completely optional if you want to it be all natural. Without using any expensive or inorganic products you can enjoy your furniture. Growing a sod couch isn't a difficult process at all, and with the right equipment and techniques that we shared with you today, you could build your sod couch in just a few hours too. We hope that you liked our tutorial; if you did, share it with your friends and tell us what you think in the comments section.